MOSCOW, February 1. /TASS/. 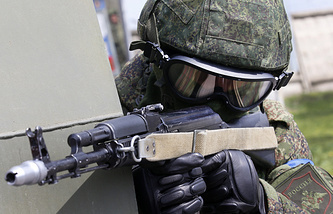 The Russian Federal Security Service (FSB) has eliminated a member of Islamic State (IS, a terror organization, outlawed in Russia), who had been plotting a terrorist attack in Nizhny Novgorod on the day of the presidential election, the FSB Center for Public Relations told TASS. "The FSB has stamped out the activity of a member of the Islamic State international terrorist organization that is outlawed in Russia who had been preparing to commit a terrorist attack in Nizhny Novgorod," the center reported. "The criminal, who resisted arrest, was liquidated by FSB special forces." "According to the received operational data, the terrorist, who is a citizen of a country of the near abroad, was ready to commit a terrorist attack during Russia’s presidential election day," the FSB noted. During an urgent investigative action, at the scene police found a powerful homemade bomb and parts for production of several more explosive devices, as well as firearms and munitions belonging to the criminal, the FSB added. 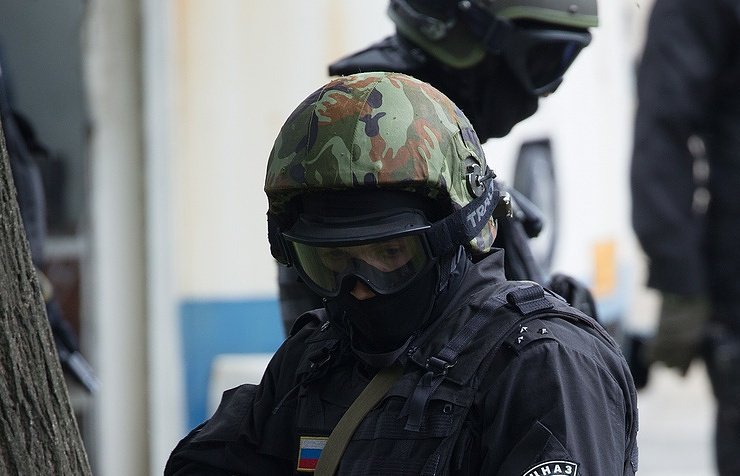 The FSB Directorate for the Nizhny Novgorod Region is pressing criminal charges due to the participation of the international terrorist organization, the Islamic State, and for efforts in attempting to carry out the terror attack.